It appears that the fuzzy image of a restyled Equinox from GM's fuel-cell fest last week is less of a mystery today. 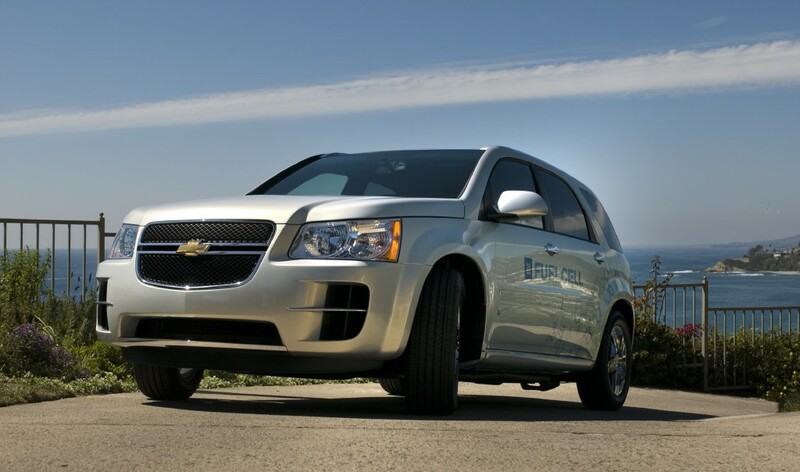 Official photos as well as details about the Fuel Cell Equinox have been released. 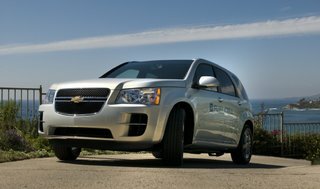 GM plans to build 100 of these and place them with families in California (of course), New York City, and Washington D.C. This will result in the worlds largest FCV fleet. I would still expect this highly modified front-end (which seems to combine a new style Chevy grill with the headlights already used on the Pontiac Torrent) to become the new face of the Equinox in the 2008 model year.